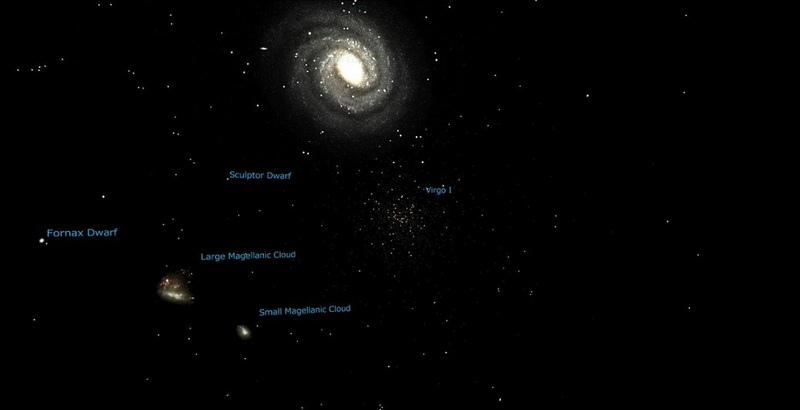 Currently, some 50 satellite galaxies to the Milky Way have been identified. About 40 of them are faint and diffuse and belong to the category of so-called "dwarf spheroidal galaxies". Many recently discovered dwarf galaxies, especially those seen in systematic photometric surveys such as the Sloan Digital Sky Survey (SDSS) and the Dark Energy Survey (DES) are very faint with absolute luminosity in the optical waveband below -8 magnitude. These are so-called "ultra-faint dwarf galaxies". However, previous searches made use of telescopes with a diameter of 2.5 to 4 meters, so only satellites relatively close to the Sun or those with higher magnitudes were identified. Those that are more distant or faint ones in the halo of the Milky Way are yet to be detected. The combination of the large aperture of 8.2-meter Subaru Telescope and the large field-of-view Hyper Suprime-Cam (HSC) instrument is very powerful in this study. It enables an efficient search for very faint dwarf satellites over large areas of the sky. The first step in searching out a new dwarf galaxy is to identify an over density of stars in the sky, using photometric data. Next is to assess that the over dense appearance is not due to line-of-sight or accidental juxtapositions of unrelated dense fields, but is really a stellar system. The standard method for doing this is to look for a characteristic distribution of stars in the color-magnitude diagram (comparable to the Hertzsprung-Russell diagram). Stars in a general field shows no particular patterns in this diagram. Daisuke Homma, a graduate student at Tohoku University, found Virgo I under the guidance of his advisor, Masashi Chiba, and their international collaborators. "We have carefully examined the early data of the Subaru Strategic Survey with HSC and found an apparent over density of stars in Virgo with very high statistical significance, showing a characteristic pattern of an ancient stellar system in the color-magnitude diagram," he said. "Surprisingly, this is one of the faintest satellites, with absolute magnitude of -0.8 in the optical waveband. This is indeed a galaxy, because it is spatially extended with a radius of 124 light years - systematically larger than a globular cluster with comparable luminosity." The faintest dwarf satellites identified so far was Segue I, discovered by SDSS (-1.5 mag) and Cetus II in DES (0.0 mag). Cetus II is yet to be confirmed, as it is too compact as a galaxy. Virgo I may ultimately turn out to be the faintest one ever discovered. It lies at a distance of 280,000 light years from the Sun, and such a remote galaxy with faint brightness has not been identified in previous surveys. It is beyond the reach of SDSS, which has previously surveyed the same area in the direction of the constellation Virgo.